Many people have heard of the HUD Dollar Homes program and are understandably interested in what it could mean for them. After all, everyone wants to find a bargain on the home of their dreams. This program is run by the Department of Housing and Urban Development (HUD) and features homes that were once for sale through the HUD Homestore. All of the properties listed on this government website are foreclosed homes that once had an FHA mortgage. Have a home you like but still need to secure financing? 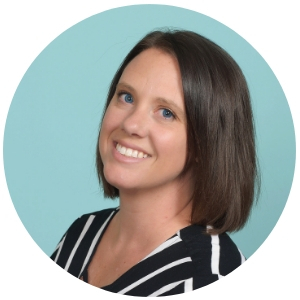 Get pre approved fast – Click Here! 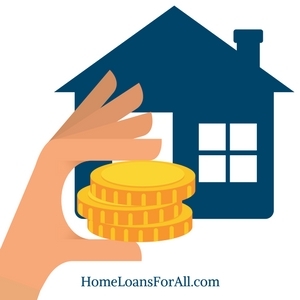 In a Federal Housing Administration (FHA) loan, the federal government agrees to back a portion of the loan for a private lender. The lender will want to recoup the money they lose if a homeowner decides to stop making their monthly mortgage payments. Many of these lenders will turn the property back over to the government and HUD now retains ownership of the homes. They attempt to sell these properties at a substantially reduced price in order to entice home buyers and government agencies who might be interested in purchasing bargain houses. HUD homes can be purchased by anyone who has the money or the funding required to pay for one of these properties. Unfortunately, there are some common misconceptions relating to these dollar homes. It’s time to take a closer look at just what this program entails. What are HUD Dollar Homes? The HUD Dollar Homes are properties that were listed on the HUD Homestore for six months but were unable to sell for one reason or another. Eventually, the government simply wants to cut their losses with a property, so they decide to make a very bold move. They reduce the price on all of these homes to just a single dollar plus any closing costs that are necessary. The properties will only be offered to the local government for a ten-day period. The original list price of the home must have been $25,000 or less in order to qualify for this program. Now, this is where many homebuyers can become confused about the process. These HUD Dollar Homes are only available to the local government for purchase. This gives state agencies and nonprofit organizations an opportunity to fix the homes back to a habitable condition and restore some parts of a run-down neighborhood. The idea is that these extremely inexpensive 1 dollar HUD homes can help these agencies to provide housing for low or moderate-income families. All of the properties that are reduced into these HUD Dollar Homes listings are going to be single-family residences, but many of them will need major remodeling. The extensive list of repairs could be the reason why these homes have remained on the market for such an extended period of time. The local government may have to forge connections with various nonprofit organizations and other local programs in order to get these homes back in shape and available to families in need of assistance. It is a great way for the government to give back to a community and start to draw in new residents to a particular area. After all, it’s better for the local economy to have a new family move into one of these homes that were sold for just one dollar than for them to remain a vacant eyesore. How Do I Find These Homes? 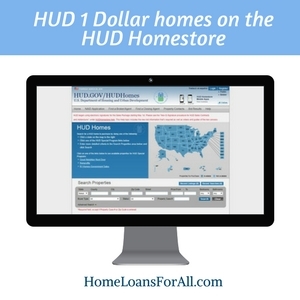 If you are a part of a government agency that would be eligible to purchase these properties (or you’re curious what might be available in your area), you can search the available HUD 1 Dollar homes on the HUD Homestore. This website is the listing place for every home available through HUD, including the HUD Dollar homes. Right on the home page, you can filter for houses that meet your search criteria including state, city, zip code, and even street name. From here, you can see if there are any HUD 1 Dollar homes that meet your current search criteria. Keep in mind that the availability of these homes is constantly changing. A property you see listed under the HUD Dollar Homes search function today may not be available tomorrow. At such a rock-bottom price, these homes are often sold relatively quickly to the applicable agencies. Local agencies that offer housing assistance to low-income families may have some of the remodeled properties available for sale or rent. Be sure to check around with your local agencies or government officials to see how you might be able to find some help with providing adequate housing for your family as a result of this financial incentive for the government. The HUD Dollar Homes are an excellent option for government agencies and nonprofits to coordinate their work and offer assistance to low or moderate-income families. While many of these properties may require some serious renovation, the reduced price of the homes allows for more financial flexibility with this process. While it is disappointing that the HUD homes for a dollar aren’t available to the general public, it does still benefit the communities where these properties are located. Can you really buy a house for a buck? Yes, local governments can purchase homes that have been listed on the HUD Homestore for longer than six months at the low price of just one dollar. Who can buy HUD Dollar Homes? Only local governments can purchase HUD Dollar Homes. Once local governments purchase the homes, they are made available for low to moderate income families which can then revitalize communities. 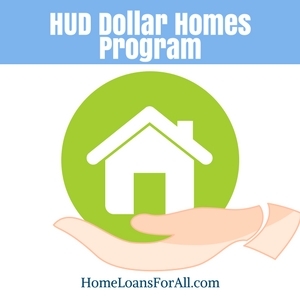 HUD Dollar Homes are properties listed at just $1 that are available for purchase for local governments to help assist low-income and moderate-income families with housing. These properties must have been on the market for six months without a sale and be priced under $25,000. Are there other programs available? Yes, HUD does offer other programs to entice buyers to purchase these foreclosed homes. Their Good Neighbor Next Door program offers a 50 percent discount to law enforcement officers, emergency medical technicians, teachers, and firefighters if they agree to live in the home for three years. Their nonprofit program offers a 30 percent discount to nonprofits who will use the properties to assist low-income families with their housing.